Millions of adults suffer from one type of hernia or the other, causing more serious health concerns and lowering quality of life. Hernia repair surgery is one of the most common forms of surgery in the United States, with more than 1 million performed every single year. While some types of hernias do not require surgery, there are many instances in which this is the best option. Here at Surgical Associates of Mansfield, we proudly perform da Vinci Robotic surgery for hernias, a minimally-invasive procedure that allows us to repair hernias as quickly as possible. 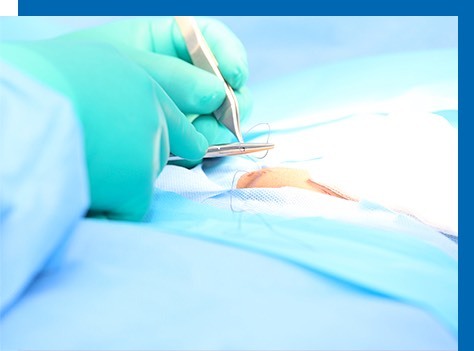 The da Vinci technology allows your surgeon to take care of the hernia through a series of small incisions or cuts, rather than a large open incision. This robotic-assisted surgical technique enables your surgeon to be in control 100% of the time, providing a 3D HD view inside the body, enhancing vision, precision, and control. In addition, we offer robotic and laparoscopic hernia surgery options for our patients. These days, most surgeons opt for a tension-free mesh repair, which can be done using da Vinci technology. Because hernia surgery is so common, these technological advancements and innovative techniques have gone a long way in helping patients recover from a hernia without complication. A hernia forms when the inside layers of the abdominal wall are weakened, in turn resulting in a bulge or tear. When this happens the inner lining of the abdomen can squeeze through the weakened area, resulting in a balloon-like sac. Depending on the area in which the hernia has formed, this can cause part of the intestine or abdominal tissue to make its way into the sac, causing severe pain and a series of other serious health problems. 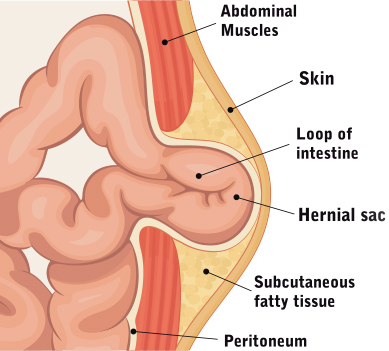 In many cases, hernias will grow larger when pressure is placed on them, such as the loop of the intestine or fatty tissue pushing into the abdominal tissue. When this happens, most hernia patients will notice a bulge in the affected area. Some patients may be able to flatten out the bulge by lying down or putting pressure against it. This is known as a reducible hernia, and while not an emergency, will likely still require surgery. The level of severity and need for surgery will depend on several factors, including the type of hernia and cause. The good news is that hernias are highly treatable with surgery, especially when da Vinci Robotic technology is sued. This type of hernia surgery results in less pain, reduced hernia recurrence, and a much faster recovery time. These are just some of the most common signs of a hernia. If you are experiencing any of the above, we encourage you to contact Surgical Associates of Mansfield immediately and schedule an appointment. We will be able to examine you and determine which type of hernia you are dealing with, and what the best treatment path is. While some hernias repair themselves, in most cases the patient will need surgery. If you would like to learn more about what to expect from hernia surgery or the da Vinci Robotic technology that we use, please do not hesitate to ask. Our entire surgical team is here for you and are committed to ensuring you understand your diagnosis and treatment recommendation.